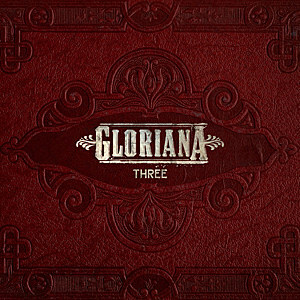 June 2nd marked the release of country group Gloriana's third album, aptly entitled Three. With an interesting mix of song-writing credits, the album holds twelve songs, including lead single Trouble. Truthfully, when I first listened to the album I wasn't particularly impressed (having been a fan of the band for around 6 years and really liking their previous albums) but I have, however, found that the more I've listened to the album the more it's grown on me. Lead single Trouble opens the album. Whilst there is nothing intrinsically wrong with the track I didn't find myself drawn to it as much as I did with others. There are better Rachel Reinert led tracks and it doesn't feel as if there is anything within Trouble to really grab a listener's attention, particularly as a lot of people will have already heard it. One of my favourite tracks from the album is the Rachel Reinert led Get Back That Goodbye. The track as a whole has a strong rock/pop/country production mix that works really well and also seems to suit Rachel's deeper tone perfectly. The lyrics are very clever, with lines such as "take that summer rain off that window pain and push back up into the sky" and "it's easier to break apart than it is to unbreak hearts" building up a really strong story. The alternation between the male/female lead vocals in It Won't Let Go (as with other tracks on the album) works really well and showcases how strong the trio are as a group. The overall production is, initially, softer than some of the other tracks from Three but there is a sense of strength from the vocals, particularly Rachel's, that combines with the drum and guitar led production to create a really impressive overall track. The album closes with, quite possibly, the most stripped back track from the album as a whole, My Somebody. This is honestly a great track, showing another side to the group and adding another dynamic to Three. The relaxed drum line, along with what sounds like finger clicks, creates a platform for the rest of the instrumentalisation to build upon and it feels as though the song wraps up the album really well. One thing that will stand out for a lot of listeners is the lack of slower, balladic tracks in the album, something that I did miss. I would, however, still recommend this album and would advise anyone to keep listening if they are, like me, not immediately convinced. Having listened to this album a few times now, it does feel as though it will very strong live, I hope we get to see Gloriana over in the UK soon! Gloriana have continued to mature from their first album and sound completely at home here, showing they prefer the rockier sound. My only negative point would be that I hope they don't lose the slower songs all together, they really are a strong side to the group.